Looking for an activity for your children while you enjoy a nice Valentine's Day evening? 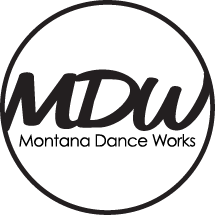 Montana Dance Works has the answer! Parent Night Out! Our Parent Night Out is the perfect opportunity for parents to enjoy a nice dinner while their children enjoy crafts, games, movies, and more! Pizza and water will be provided. Please advise front desk of any allergies.